After 3 years of a long battle with her Kidneys, heart, copd and other ailments. Mom fell March 26th and broke her hip while visiting my sisters in Texas. After surgery on Easter Mom's heart gave out and she left this Earth and now is in the hands of God. She fought hard for years since her aneurysm in 2009 but God finally called her home. Thank you Mother dear for all you have given to me as a man. You taught me well and I will carry on your legacy. Rest in Peace Mom. I Love you forever and will miss you dearly. May 27th my Beautiful Mother turned 76 !! So hard to believe how far she has come since the Aug 2009 Sub Arachnid Hemorrhage (brain bleed) .So proud of her strong will to survive and for her and my Stepfather to keep going one day at a time staying busy ! Thanks to all who were concerned and sent prayers to us during that time and many thanks to everyone for their support. 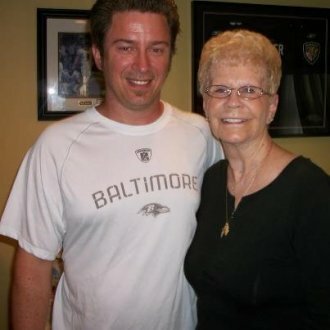 We all went back to John's Hopkins 2 years after Mom had her Aneurysm . We met with Dr. Huang, The folks from the ICU as well as the Vent Rehab doctors and nurses. All is well !! simply Amazing ! Having Lunch with Mom..all going well! Mom And Jerry went to my Sister's for the holidays. 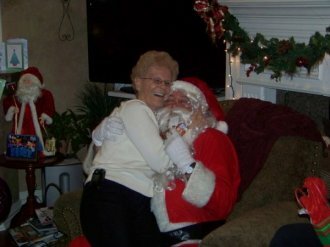 On Christmas they went to my Uncle's house and Santa was there ! This time last year she was in the Vent rehab working her way back from near death ! 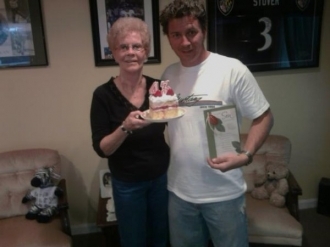 Mom, Jerry and I celebrate my 43rd b-day. Wow with all that's transpired the last year I never thought a year ago this would happen. My Mom is amazing and doing very good ! Another huge thanks to all the Doctors and nurses at Johns Hopkins ! 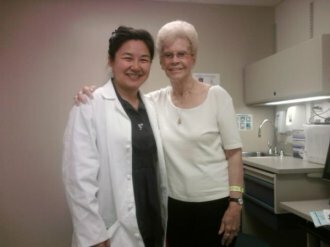 Today, Aug 10th, we all went back to see Dr. Judy Huang, the Neurosurgeon who operated on Mom and saved her life. She was elated at Mom's progress. We talked about all the many past and present issues. It's been 6 months since Mom left the hospital and Aug 11th is 1 year since the aneurysm burst.We also went to the ICU and Respiratory clinic and saw some of the nurses and doctors who helped as well. They were all happy to see Mom doing well! .All in all a wonderful day and I am proud of Mom !!! Another win with Mom, Jerry and Dana in attendance ! July 31 to Aug 2nd. See the link for results ! Pic is with my Mom, and Step father Jerry. A Win for Mom ! 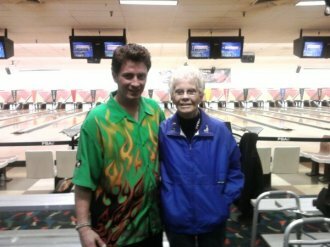 Good weekend with Mom and Jerry watching me bowl Saturday and Sunday at the PBA East region Forest Hill lanes open. 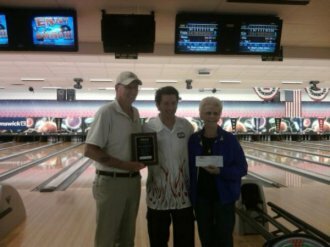 Shot a 300 on Sat and on Sunday hung around all day near the top places and in the final game shot 267 to move from 3rd to 1st. Mom and Jerry had a good time !! click red headline for PBA info. 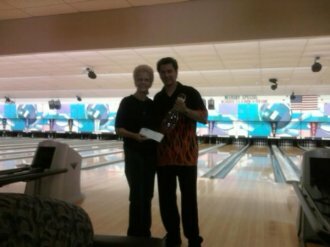 Mom and Me at Country Club lanes 3-30-2010 !! 6 MONTHS AGO I NEVER THOUGHT THIS WOULD BE POSSIBLE AFTER WHAT MOM HAS BEEN THROUGH ! 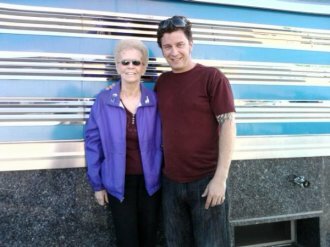 !---I had to move the entire BLOG on my Mother to the Journal and Tips section over on the left side of this page.. You will have to put an email in and sign up to access just or go to my myspace page blog. 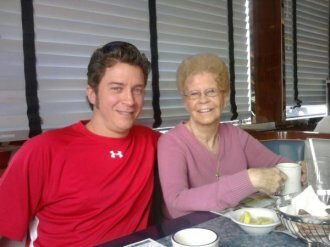 Unfortunately I had to move off the front page because of the length of the blog of this ordeal and journey of Mom's recovery. I have more room in the journal section. Thanks !